Having made his name in the UFC off the back of some electric performances, a sharp Irish wit and the best trash talk ever witnessed in MMA, Dana White and co. knew they were on to something big. Following a monumental 13-second KO of former dominant featherweight champion Jose Aldo, McGregor’s stock catapulted, sending his ego into orbit. “The Notorious” became a household name around the world, and his defeat of former 155-pound champ Eddie Alvarez at UFC 205 simply compounded this. Despite having fought his last bout under the promotion’s banner in November 2016, McGregor still has the promotion by the balls. The Irishman stunned the world when he talked himself into a glorified exhibition bout against boxing legend Floyd Mayweather Jr. in Aug. 2016. This fight – if you can call it a fight – earned Dublin’s most famous MMA fighter a stupid amount of money which further pushed the 29-year-old’s already sizeable ego further into the outer reaches of the galaxy. Run-ins with Irish gangsters, attacks on a rival promotion’s referee, and a curious fondness for f**kin’ up buses with dollies have seen McGregor move from MMA, to boxing, to wannabe gangster, to bus racist. Throughout all of this, the Crumlin-native has endured a litany of criticism and shade thrown at him by the Irish and world media, who have condemned his indiscretions as the actions of a thug. Still no closer to announcing his return to the promotion which made him a global superstar, McGregor’s future intentions are unknown. 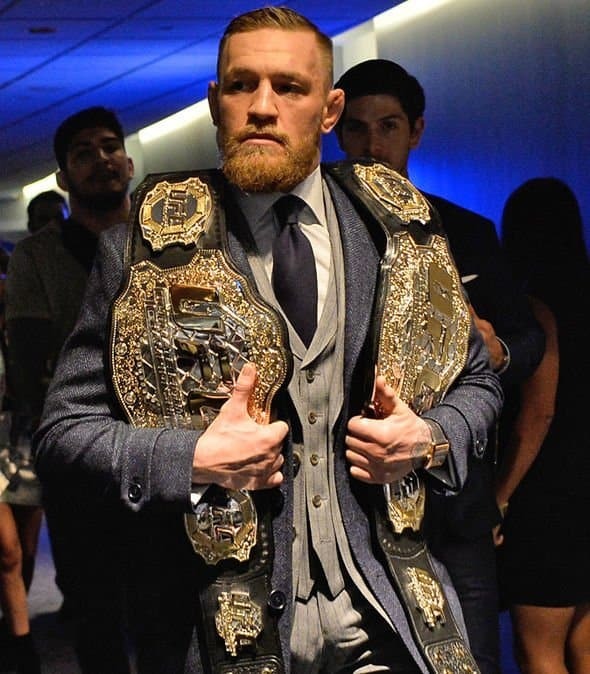 What is known, however, is that Conor McGregor still has the world in his hands. While the UFC begins to fall due to a lack of sellable superstars, all the Irishman needs to do is announce a fight inside the Octagon and the promotion’s viewing figures will go through the roof.